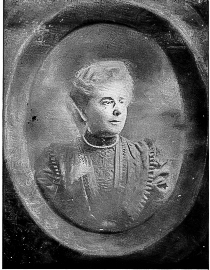 Ellen Odette Cuffe, Lady Desart, was an Irish politician, president of the Gaelic League and philanthropist. She became a member of the Gaelic League and was elected its president. She commissioned the village of Talbots Inch to be built by the architect William Alphonsus Scott along with several other projects including Kilkenny Library, Aut Even Hospital and Talbots Inch Suspension Bridge. She was appointed to Seanad Éireann in December 1922 and served until her death in 1933. Lady Desart as president of the Women’s Committee from 1908–33, was directly involved in the rescue of approximately 300,000 women and children. She is commemorated in the Lady Desart pedestrian bridge, unveiled in 2014.